When one door closes, another opens. In recent years, the closed-door office era has given way to more and more open office floor plans, with Silicon Valley offices leading the charge. According to the International Facilities Management Association (IFMA), nearly 70 percent of Americans are now in spaces with either low or no partitions. Many senior leaders, including at Netflix’s and Hubspot’s CEOs, have even moved out of their private offices and into open spaces in the pursuit of increased workplace collaboration. So, how well does the open office floor plan work? Unfortunately, the answer isn’t quite as clear as the sightlines in those open offices. 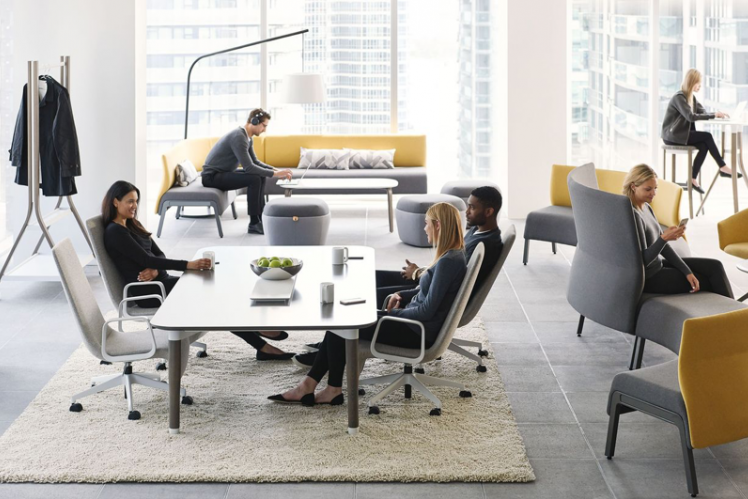 One school of thought suggests that employees in open office layouts work just as effectively as those in private offices, with additional benefits, such as increased collaboration, creativity and cost savings, to boot. Another school of thought argues that breaking down spatial boundaries actually has the opposite effect and diminishes face-to-face interaction. What Is an Open Office Floor Plan? In an open office floor plan, there are no separate rooms or fully-enclosed spaces. Instead, workstations are placed together. They may be separated by short screens or panels, or, in some cases, the floor plan is simply one fully-exposed office space with no separation. Alternatively, in closed or semi-open floor plans, you’ll typically see private conference rooms and cubicles in the middle of the layout with private offices lining the exterior walls, each with its own window — the ultimate status symbol in the office of days past. Teamwork: Working side-by-side physically can foster stronger teamwork. Flexibility: An open floor plan is more scalable for expansion as personnel needs change. Natural light: Fewer walls mean more natural light, which has shown to improve employee health. Lower cost: With an open office floor plan, there’s less construction and equipment costs involved, which makes it cheaper to construct and furnish than a closed space. Distractions: Some of the most common complaints from employees in an open office floor plan are the noise and the constant interruptions, which actually leads them to be less productive and motivated—the exact opposite of the design intent. Lack of privacy: A lack of privacy can be uncomfortable to some employees, not to mention the ethical issues that may arise if necessary confidentiality is compromised. Health concerns: Disease can spread more quickly in an open office, which could lead to a higher number of absences. Despite its detractors, the open office floor plan isn’t dead, and it isn’t going anywhere anytime soon. Gensler’s 2016 U.S. Workplace Survey, which studied the effectiveness of a wide range of office layouts, found that the degree of open vs. closed workplace environments was irrelevant in a workplace’s overall performance. Smart design that aligned with employees’ needs was, in fact, the biggest factor in an office’s effectiveness, not its floor plan type. Get Employee Input: Ask for your employees’ feedback to gain collective insights on how they work best and what they’d like to see in a new office space. 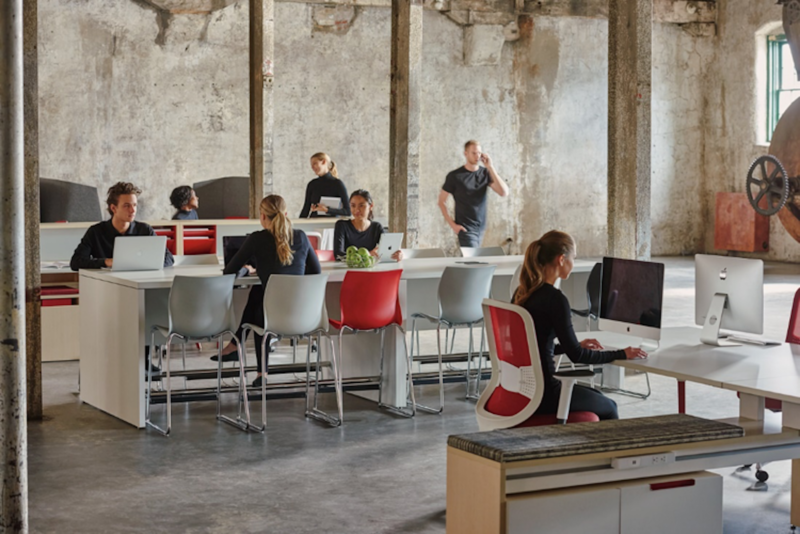 Design with Flexibility in Mind: Gensler’s workplace survey found that the most innovative and highly effective companies offered employees twice the number of alternative spaces to work. Consider incorporating a variety of work spaces throughout the office, such as closed conference rooms, collaborative workstations, lounges or quiet focus rooms for employees to choose from. Strike a Balance: Instead of opting for an entirely open office layout, consider a mix of open, semi-private and private spaces. You can also create the illusion of an open office with transparent glass wall systems. Experiment: One of the benefits of an open office layout is its flexibility. If something isn’t working, change it up and try something else works to reduce distractions or improve employee satisfaction. Manage the Noise: There are myriad ways to manage noise in an open office layout that gives employees a sense of privacy, as well as options to stay focused in quiet spaces. Consider incorporating noise management features, such as sound-proof telephone booths, quiet zones, or natural sound-muffling barriers. Closed office? Open office? There really is no one-size-fits-all approach. And luckily, there doesn’t have to be. Often, the best strategy is to mix the design styles based on how your organization works best. What type of work is being done in each department, i.e. is it mostly collaborative or head-down work? What operational goals do you want to achieve in the space? How well does your culture fit with an open office floor plan vs. a closed floor plan? How flexible do your furniture pieces need to be? This list is far from all-encompassing, but these are just a few of the many important considerations to factor in when space planning for your commercial office space. 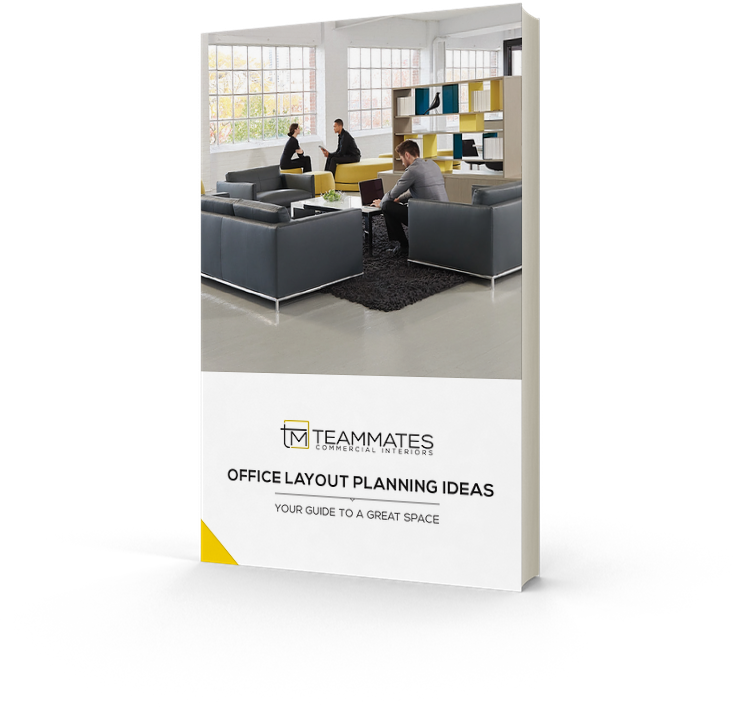 There are ways to mitigate the obstacles of open office floor plans to achieve an office space that strikes just the right mix of privacy and transparency, collaboration and noise control, and camaraderie and work performance. Would it be exciting to re-think your office space? See how Teammates can help bring your vision to life. Book a tour of our showroom and enjoy a free furniture design consultation.